Barney and Company is committed to protecting our customer privacy and takes its responsibility regarding the security of customer information very seriously. We will be clear and transparent about the information we are collecting and what we will do with that information. • And how we comply with the data protection rules. • All personal data is collected and processed in accordance with UK and EU data protection laws. 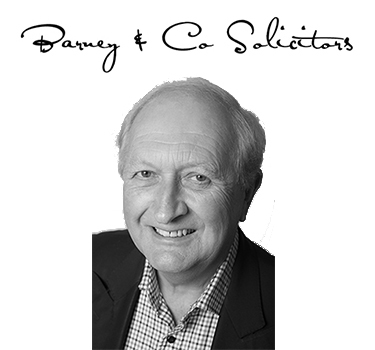 David Barney is the “data controller” of all personal information that is collected and used about BARNEY & Company clients for the purposes of the Data Protection Act 2018. We may collect personal data from you when you when you contact us or send us any information or documents. g. The communications you exchange with us or direct to us via letters, emails, chat service, calls, and social media. h. Personal details about your physical or mental health, alleged commission or conviction of criminal offences are considered “sensitive” personal data under applicable data protection laws. We will process any such data only if you have given your explicit consent, or it is necessary (for instance if you request special assistance), or you have deliberately made it public. d. Administrative or legal purposes: we use your data in order to deal with a dispute or claim. • It is in our legitimate interests in operating as a firm of Solicitors (e.g. for administrative purposes). Barney and Company does not operate outside the European Economic Area (EEA), We utilise standard means under EU law to legitimise data transfers outside the EEA. c. Our trusted third party ancillary partners such as Notaires and Avocats who offer legal services We are not responsible for third parties’ use of your personal data where such use is permitted for their own purposes. We have appointed a Data Protection Officer (“DPO”) to oversee compliance with this policy. You have the right to make a complaint at any time to a supervisory authority. The UK Data Protection Commissioner is the lead data protection supervisory authority for Barney & Company as an UK data controller. If you want to exercise any of these rights, then please submit a completed request form available on written request to us .